Packed with protein and minerals, Dubia roach Minis make great feeders for hatchling geckos, bearded dragons, chameleons, and more. Animals on very small crickets or small arthropods are ready or nearly ready for Minis. 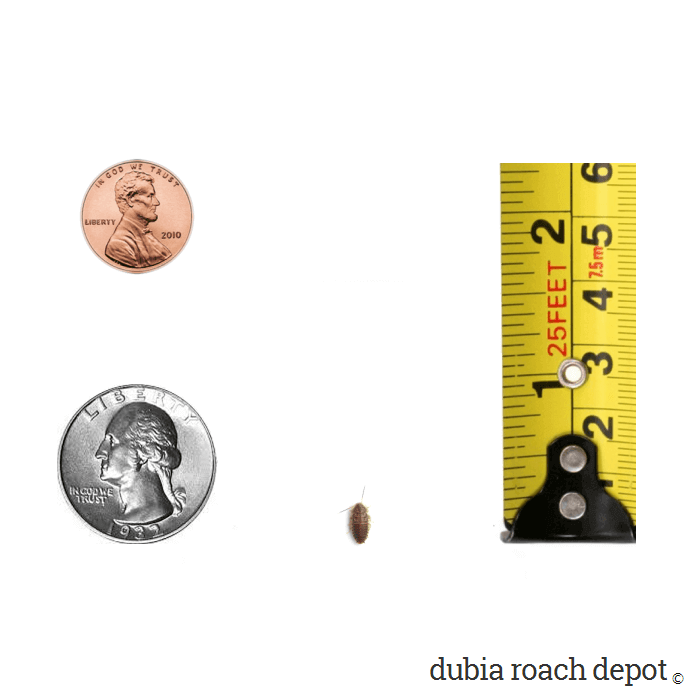 “Mini” Dubia roaches are tiny, but they pack a big nutritional punch! These diminutive feeders contain serious big nutrition for your animals. At about 3/16-inch and a week or so old, Minis are the smallest and youngest of our Dubia roach nymphs. Though small, they contain all the same nutrients as their older and larger peers. In fact, they may even have more. Because Mini Dubia roaches have to double in size in the next few weeks, their exoskeletons are thin and flexible. This means ounce-for-ounce they have more nutrition than older roaches with thicker, more developed shells. 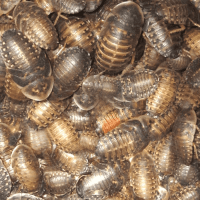 In addition, roaches are born with extra nutritional reserves designed to carry them through any scarcity they may face in the first few weeks of life. Minis have these reserves, and this is a huge plus for the hatchlings, babies, and other small animals that feed on them. They too are growing and have higher nutritional needs, and they tend to also have more tender digestive systems that may not be ready for the tougher exoskeletons typical of other insects. 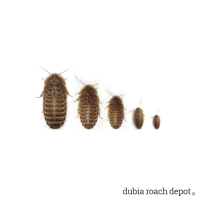 This works out great because all things equal, Mini Dubia roaches are high in protein and minerals and are soft and tender fare. Adult female Dubia spend their youth preparing for reproduction, which means eating as often as they can in order to store nutrients they’ll need later. This nutritional reserve is passed along to their offspring. It’s nature’s way of boosting survival of the species. The more nutritional reserves baby roaches have, the better their chances of survival and successful reproduction. So what does all of this mean for you and your insectivorous pets? 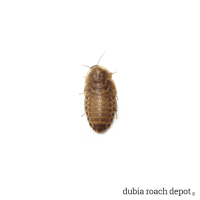 It means our Mini Dubia roaches are a great primary feeder for small herps and other animals! While small, Minis are larger than small crickets in the pinhead to ⅛-inch range. They grow very fast, so their size may vary somewhat from roach to roach and batch to batch. However, they generally measure under a quarter inch. By weight, they are about half the size of our quarter inch Dubia nymphs, as they tend to be much flatter. Fast delivery and nice overstock. My baby chameleon loves these! Highly recommended! 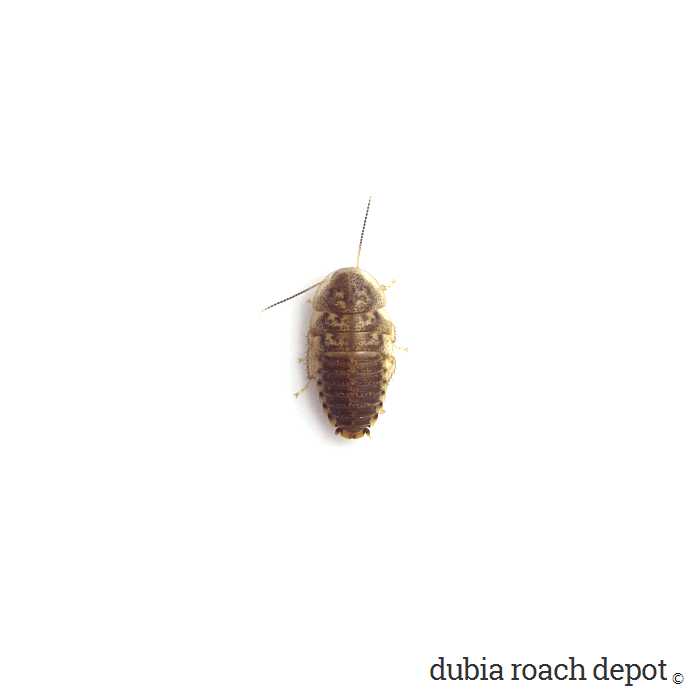 My animals LOVE these Dubia roaches! They go crazy for them. They even seem to know when I’m about to feed them, before I even bring them in the room.